The RAB/Borrell Associates report, “Benchmarking: Local Radio Stations’ Online Revenues,” shows that local digital revenue grew 13.4% in 2017, to a total of $700 million, with the average market cluster generating $1.1 million. The forecast for 2018 is even higher, coming in at almost $800 million. 73% of radio advertisers are buying social media advertising. They are spending, on average, $16,043 per year on it – about one-third of what they spend on radio advertising. Social ranks No. 1 in terms of meeting their three most important marketing goals: acquiring new business, maintaining current business, and building brand reputation. Thus, it’s the No. 1 type of advertising they plan to spend more on. While the main sources of revenue vary for stations, there are some basic truths: Banners and streaming audio remain the staples. One big change we’ve noticed is a jump in the percentage of digital revenue coming from streaming audio commercials. Combined with the decline in dependence on banner ads, it means that audio spots are now the largest single source of digital revenue for 27% of the stations. 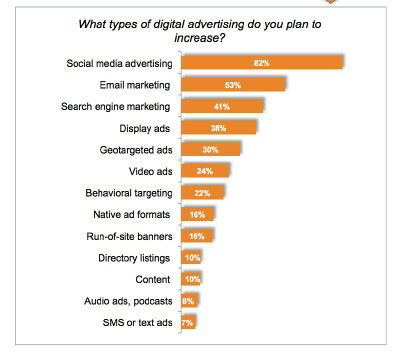 The more interesting trend, however, is the variety of digital products that play a significant role in digital sales. Note that one-third of station managers – the largest percentage of all – said that some other type of digital product not listed was their No. 1 source of revenue. Those selecting “other” responded that mobile programming, social media, streaming video commercials, or paid search were their largest revenue sources. Radio is able to offer complete integrated over-the-air and digital packages for clients that include all these touchpoints to deliver our listeners to clients, and in turn provide measurable ROI for our advertisers.